I recently had the opportunity to test Vita Liberata Luxury Tan 2-3 Week Tan Mousse, courtesy of Fighting Fifty, a website with an engaged audience of women, and increasingly men, approaching and over 50, who are looking for good health, beauty and fitness information and education. 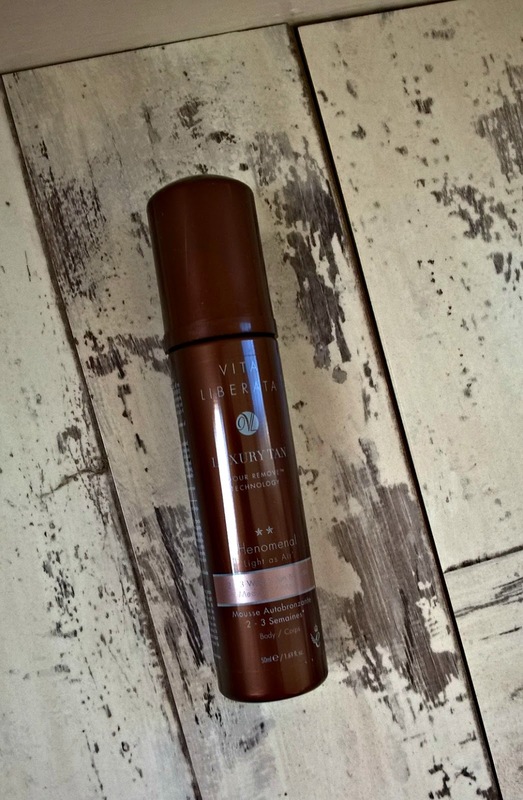 Vita Liberata pHenomenal 2-3 Week Tan Mousse is a luxury self tan product which has ingredients that are organic, odourless, non-toxic and very long lasting. The product claims to give a natural looking tan which fades evenly and is the World’s first completely non-toxic tanning range. There are no parabens, perfume or alcohol and the product is odourless (no yucky “biscuit” smell). Vita Liberata pHenomenal 2-3 week Tan Mousse is fast drying and claimed to last 4 times longer than regular tans. Plus, because it contains organic ingredients, it is kinder to your skin. I have to admit being a complete duffer at self tan application, having previously flirted with numerous spray-on colours, tanning moisturisers and a couple of the well known brands popular with the celebs. I was sent the Medium Golden Bronze shade and found Vita Liberata to be incredibly easy to apply. It’s a light, frothy mousse which is quickly absorbed and dries instantly – no annoying staining. You just apply in light circular motions with a tanning mitt (there’s a small one supplied in the box with the produdct), making sure you take extra care around knees, elbows, feet and ankles. You do need to make sure that you exfoliate thoroughly before application as with all self tan products. Best of all it gives an instant colour so you can quickly apply some to get rid of the pasty glow from your legs before sprinting out on the school run. The colour develops over 4-8 hours and fades slowly over days – although you are advised to use just water on your self tan patches when you shower. You can reapply to darken the colour if you choose (or to prolong the tan). I found the product gave me a lovely natural looking medium bronze colour without streaking after just one application. You can see my handywork in the photo. Vita Liberata retails at £37.50 for 125 ml from the Vita Liberata website (also Boots, Space NK and other pharmacies) which makes it slightly more expensive than that well known brand with the French name but this was so easy to use I am extremely tempted to treat myself. Locally a spray tan costs around £30 so this compares favourably and I haven’t yet summoned up the courage to step into the spray tan booth – not least because the idea of all those chemicals puts me off. If you’re thinking of trying a self tan for the first time or just want a reliable, no fuss and organic product, this one is well worth trying. 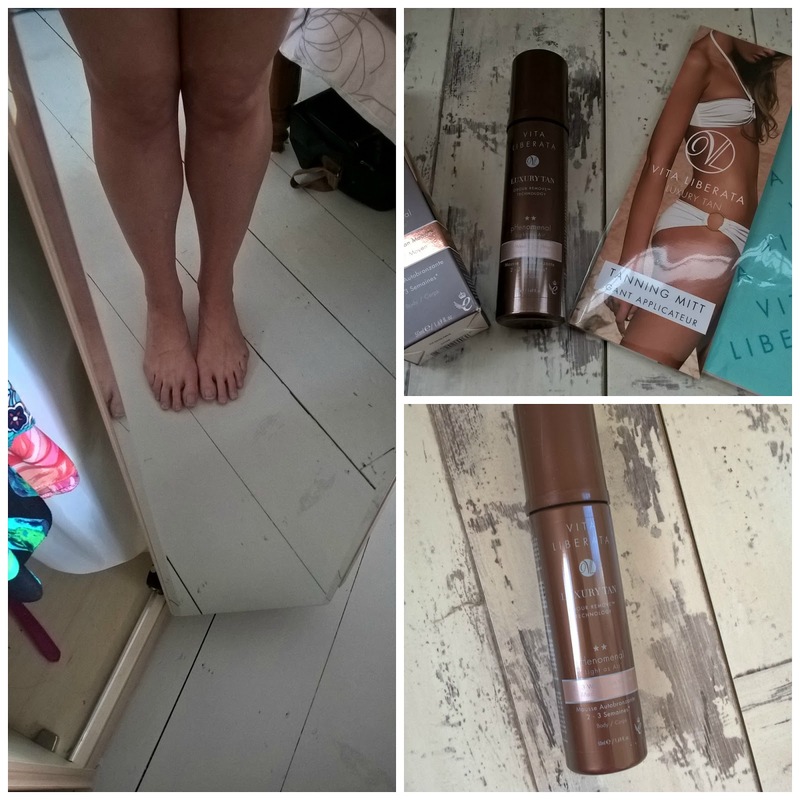 *I was sent a small sample of Vita Liberata to try in return for an honest review. "Review: Lose Yourself At Octer.co.uk – An Online Shopping Mall You’ll Want To Revisit"